He flashed that smile, told those corny jokes and played that guitar. 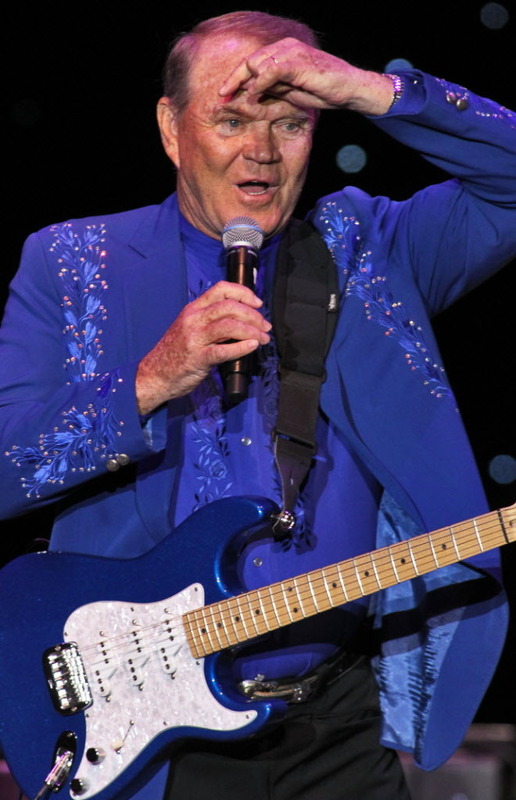 But it wasn’t the Glen Campbell you hoped for Friday at Mystic Lake Casino. Of course, most of the concertgoers know that he has Alzheimer’s. But you were hoping for the best — not for mangled words on the two very familiar opening songs. Using self-deprecating humor, persistent positivity and a light-up-the-room smile, Campbell might have seemed less bothered by his failing faculties than were fans. To be sure, there were some reassuring performances, including "Wichita Lineman" and "The Moon’s a Harsh Mistress" as explained in my review. And Campbell did mention Prior Lake and Minnesota at different times during the performance, so he was aware. (But he didn't mention reclusive Minneapolis songwriter Paul Westerberg, who contributed two songs to Campbell's new album; one of those tunes was performed Friday.) It’s just that there were so many instances that, sadly, seemed to be more than senior moments. There is something to be said for seeing this country/pop crossover champion, who turns 76 this month, one last time, but it was heartbreaking — and you left wondering why he’s doing this tour. Opening the concert was Instant People, featuring three of Campbell’s kids (who also back him). Ordinary People would have been a more apt description for this quintet with banal material.